Choosing a new vehicle of any kind can be a tricky business, especially in times of economic stress. Buying a commercial vehicle can add further layers of complexity, due to the usage issues and reliability concerns that can be far greater than simply buying a car for domestic use. 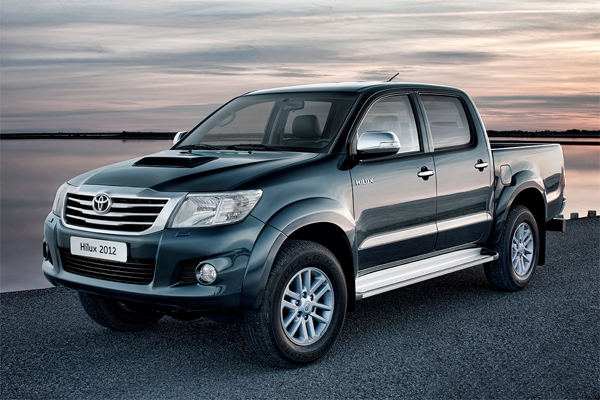 So how should you go about choosing a commercial pickup that’s right for you? In spite of the on-going financial crisis, there has been an increase in production and sales of pick-up trucks across the world. Although perhaps more closely associated with the USA and China, their popularity has also been growing sharply in the UK as more and more businesses recognise their worth as versatile commercial vehicles. As the distinctive image of the pick-up has become more of a regular sight on British roads, so has a number of new manufacturing names such as Great Wall. The Chinese manufacturers are the first from their country to make significant inroads into the UK automotive market and their iconic signature model, The Steed, is the biggest selling of the Great Wall commercial pickups, with one-third market share in China and in excess of 700,000 units sold worldwide. Whilst the enclosed van has been the traditional choice in the UK in the past, the unique design of the pickup, with its open-top rear flatbed area, has been winning admirers for some time now. Perfectly suited for fast and easy access loading, it gives a greater flexibility than the enclosed rear space of a van. The advanced construction methods used in the manufacture of Great Wall pickups includes a rust-proofed chassis and galvanised panels which ensure a long, trouble-free working life. All modern motor vehicles are far safer than they were just ten years ago and this is no less true when it comes to pickups. Modern safety systems such as twin air bags, Anti-lock Braking Systems and Electronic Brake Force Distribution have previously been unusual in the commercial sector, but each of these come as standard in Great Wall models. Vans are not usually known for their comfort levels. The separate cab of a pickup however, allows for modern commercial vehicles to compare with the standard on offer to driver and passenger in SUVs, as well as other domestic models. Leather interiors with heated seats are not what the working man has come to expect and additional equipment, such as Bluetooth hands-free mobile phone connectivity, would have seemed an unlikely luxury in the past. However, market-led success always points towards manufacturers who understand demand and the inclusion of features such as these, helps to explain some of the reasons behind their popularity.